Where can you find a Cape Cod- like experience in the Finger Lakes? Fair Haven! This is one quaint village with a few nice shops, great choices for a meal and a long sand beach for walking and even finding shells and stones. You will feel like you are at the Atlantic Ocean when it is only Lake Ontario. There are even sea gulls – but no seaweed smell. 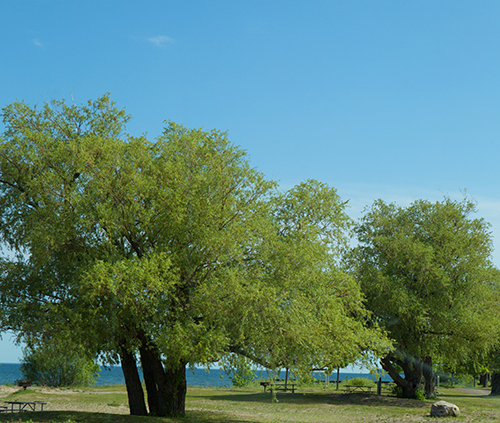 Fair Haven Beach State Park, one of the three State parks in Cayuga County, has it all. Besides beach combing, there are opportunities for camping, cottage rentals, swimming, hiking, fishing, walking the long pier, sunbathing, bird watching, boating and picnicking. 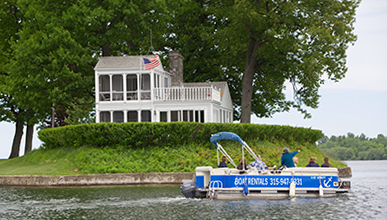 Sited on both Lake Ontario and Little Sodus Bay, you will find wide expanses of water to be hypnotized by. Watch the horizon line for pirate ships or whales. Let me know what you see. On the day I visited in mi d-June, the water temperature was a balmy 44 degrees. I am a water wimp and wait until late-August before I take a dip. But on a hot day in July I am sure, the water will be refreshing. You can even ride the waves. Not Malibu, but fun. A pond offers the chance to watch swan, duck, geese and other water fowl and to rent kayaks, row boats and paddle boats. With Sterling Nature Center about 5 miles down or up Sterling Stream, you can even take a side trip up there to see the egret rookery and beaver pond. Check out the camp sites and cottag es. I hear one needs to make reservations a year in advance.. Select your home away from home this year and come back for a second summer vacation. There are camper slips and tent camping areas Some cottages sleep 4 and other 8 with electricity and running water. Prices vary depending upon your desire to “rough it”. There is a small commissary which offers the basics along with hot dogs, hamburgers and snack foods for day trippers. A day pass is $8 and offers access to everything at the park. New York State also offers the Empire Passport which gives access to all NYS parks for a year at a very reasonable cost. Check out the variety of options on line. Next up, a day at Long Point State Park on the shore of Cayuga Lake just south of the village of Aurora and Fillmore Glen State Park on the southern end of Owasco Lake in Moravia. These three parks, all within 50 miles of each other, offer a wide range of summer fun – hiking, swimming, and birding – with very diverse environments to explore and enjoy.